The moonstones are a lovely large 12mm dia and have a super lustrious milk white quality to them, just alike 'little moons'. 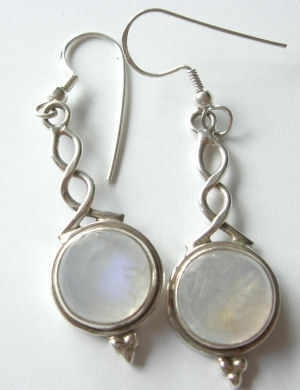 The moonstones are set in silver with a little bobble design at the end. The earrings are hung on a gorgeous twisted design of silver.